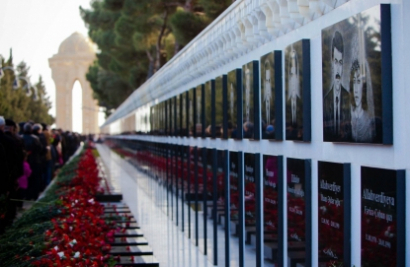 Azerbaijan Translation Centre under the Cabinet of Ministers of the Azerbaijan Republic publishes series of witnesses' memories on tragic events procreated by the contingent of the Soviet forces intruded into Baku January 20, 1990. The Moscow press called the troops who had murdered the non-violent demonstrators 'extremists'. This material covers the doctors' testimonies who assisted the wounded that undergone the attack of military terror over the night from 19 to 20-th January, 1990. Over the night from 19 to 20-th January, I was near the Salyan Barracks. Tanks were moving from the territory of the military school and young soldiers were sitting on the manhole. An officer approached and asked us to get out of the way. We sat down on the pavement in front of the military school. At that moment, the soldiers on the tank threw smoke grenade to our side. When the smoke cleared, we saw that there were some soldiers in 50 steps from us. The official's order was heard and the triggers of submachine guns pulled. The soldiers yelled "Hurrah", "Forward" and rushed upon a crowd of about 40 people including women. There was a panic, and we ran away. We heard a bark of guns at the back, several people were injured. So, they cleared the way and then the tanks rolled forward over the bodies of the fallen. Over the night from 19 to 20-th January, 1990 as soon as the shooting began, many surgeons who had cars, immediately drove to work. The wounded were brought to the hospital after 01am and the first operation was carried out at 2:00. The whole night without any break, we had operations one after another. In the morning, we learned that the same situation was observed in other clinics of the city. The corpses were put in the bathroom, and from there were carried to morgues. Over the night from 19 to 20-th January the number of the wounded grew hourly. As there were not empty rooms, the doctors were carrying out operations not only in their rooms, but also even in bandaging points. The flow of the injured and the wound was increasing in the early morning and in the day-time on January 20. In was exactly 00:30a.m. on January 20 when the light at the hospital was turned off. We were operating the wounded by candlelight, and then kerosene lamps were brought. Fortunately, the hospital had its own generator, and very soon, we were able to run it. I have been working as a surgeon for 35 years. I have much ever seen in my long life, but that was an exeption. One bullet has destroyed not only the internal organs, but also the bones. Over the night from 19 to 20-th January, I was on duty and saw that the militaries didn't let our doctors and nurses approach the wounded and dead bodies. The number of the wounded and killed were more in front of our hospital and near the monument to XI Red Army then; tanks opened fire on civilians from there. Fuad and I were on duty over the night from 19 to 20-th January, 1990. When shooting began, I went up to the roof. I could see the hideous scenery of cruelty: tanks circled the square in front of the monument to XI Red Army, shot and ran over civilians, heading further into urban avenues. Too many people were killed there. Civilians didn't engage fire on the tanks, they were unarmed. There to many victims, as the area in front of the monument was large enough and one could hardly escape from the tanks. On January 21st bandages, antibiotics and sedative drugs at the hospital ran out. Only blood resources were not a problem as people started to come to the station of blood transfusion and donate blood in the morning. Volunteers were also at our hospital and donated blood, our doctors and nurses replenished the blood bank. Doctors from Agsu, Shamakhy, Beylagan and other cities of the Republic provided us with medication and surgical supplies. 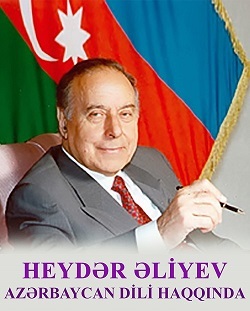 The extreme session of the Supreme Soviet of the Azerbaijani SSR held on January, 22 1990 at the request of the people and initiative of the group of deputies tried to evaluate the January events and adopted some documents. Questions about legal evaluation of the events were raised at this session and the deputy investigation commission was created. Chairman and deputies of the Supreme Soviet, public representatives, ministers of health, justice and interior affairs took part in the work of the Commission. The Commission received information not only from Baku, but throughout the Republic. Death overtook people in different circumstances. Some were killed while leaving their houses. 12-year-old Larisa Mammadova, hearing the sounds of gunfire, ran to the balcony where she was killed. Father ran behind her, he was injured and lost consciousness. He heard the news of his daughter's death at the hospital. On the following days, there were also a lot of injured and killed. Soldiers shot at peaceful people not only after curfew time, but during the daytime.